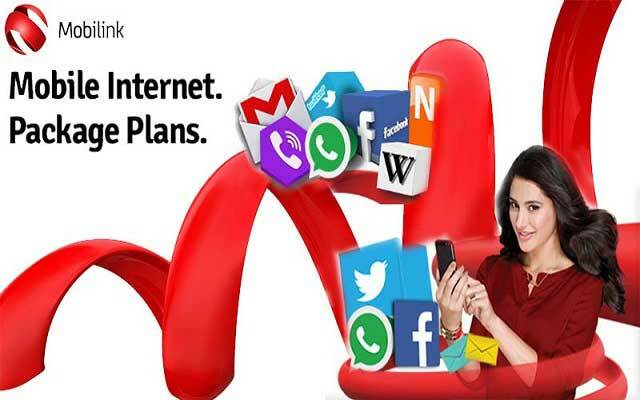 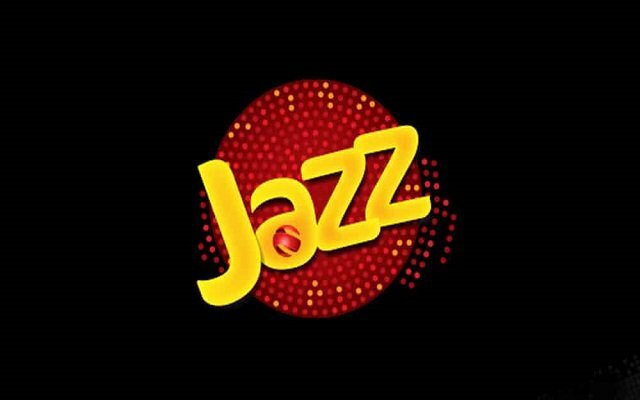 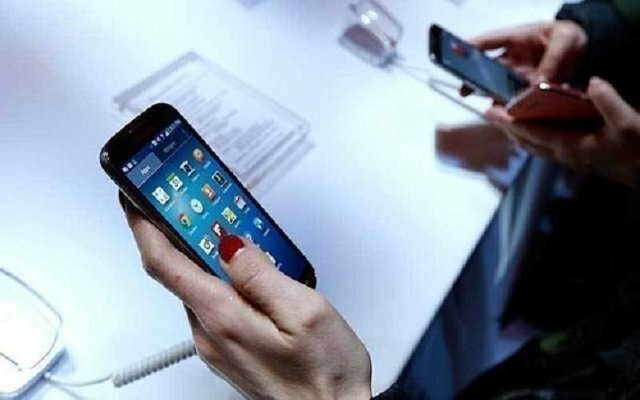 QMobile has been taken to the golden era with the support of the people of Pakistan and with the media, that played a vital role in fetching the people’s interest, like the recent ad for QMobile Linq L10 by an Indian cool actress Prianka Chopra, who was assigned for advertising Linq L10. 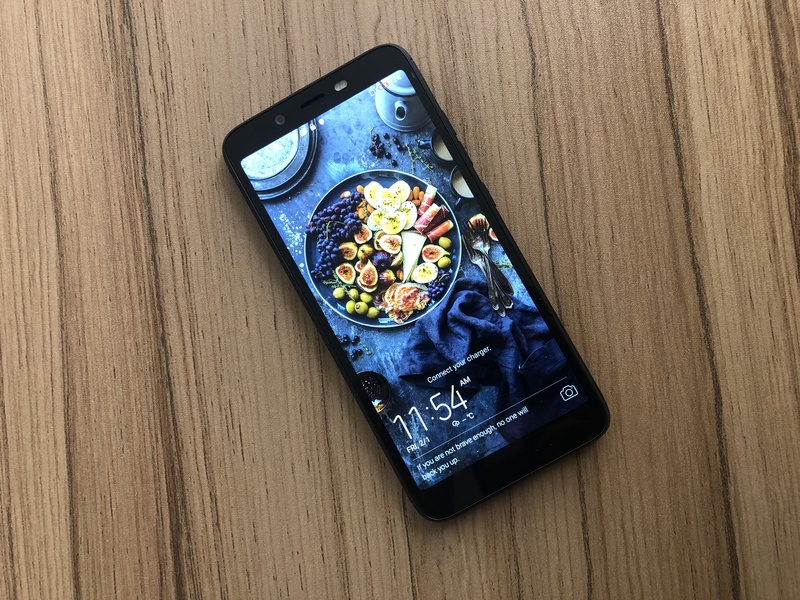 QMobile Linq L10 Review is all about the investment, performance, bench marking and to check what really is cool about Linq L10 and what really are the deficiencies and holes kept in this smartphone. 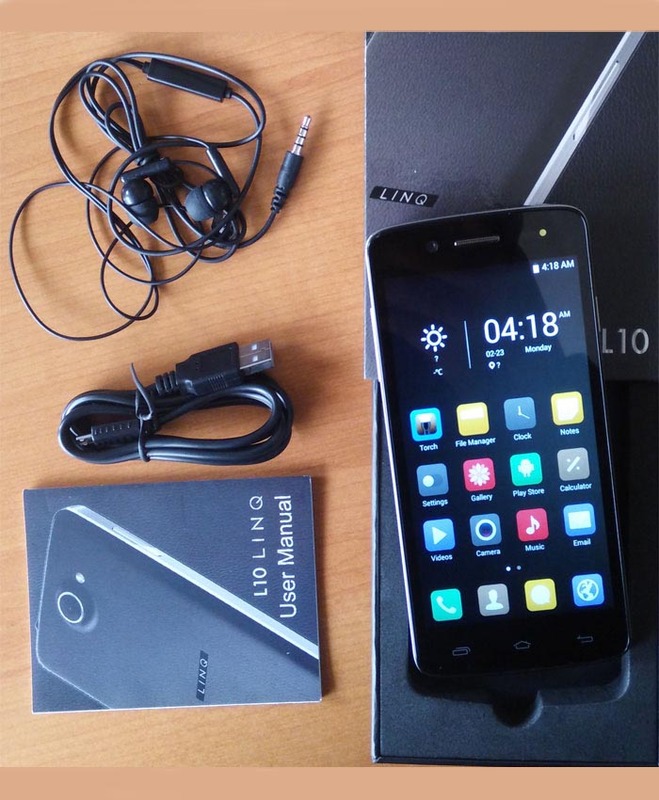 Qmobile Linq L10 Review reveals that the device has a stylish look with rigid shape, with cool 5″ display with 146.2 height, 74.2 width and 8.8 mm breadth. 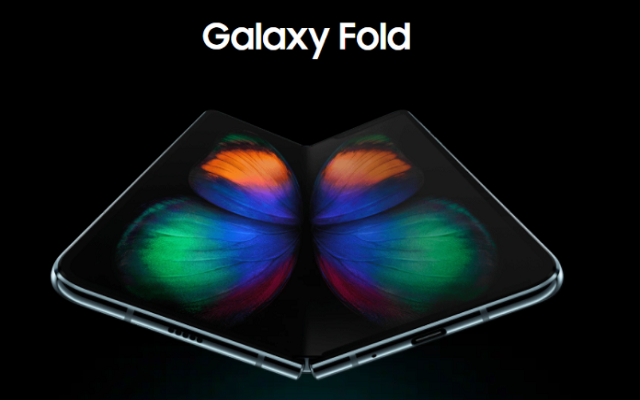 The back button is set at the down right corner, the front camera at the left along with the speaker and the light and proximity sensors are the other side of the speaker. 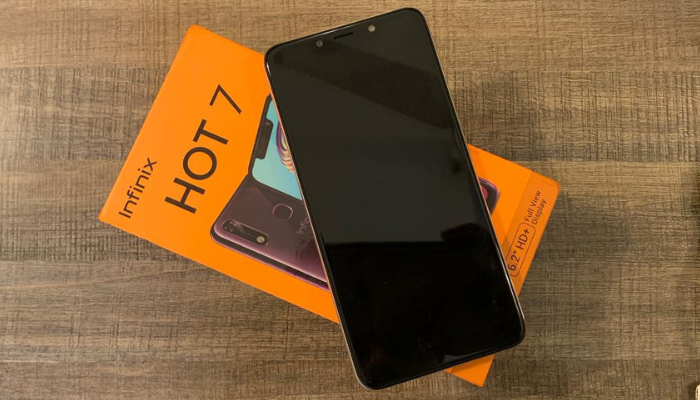 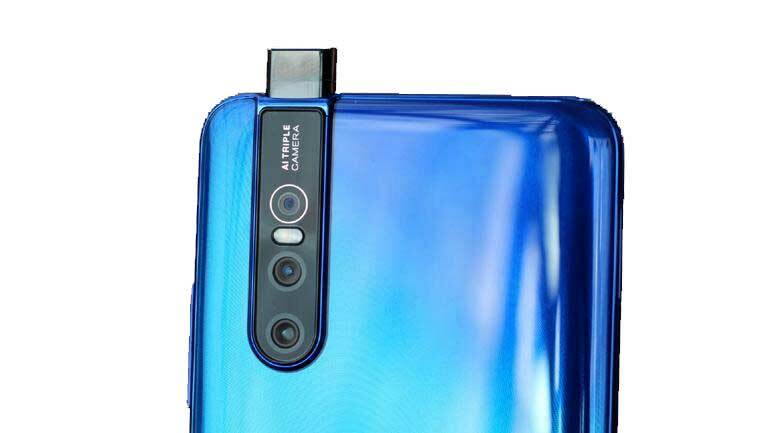 The rear camera is bulged out and is located at the upper centered part of the back and the bulging side shows that the camera would be good enough for HD videos. 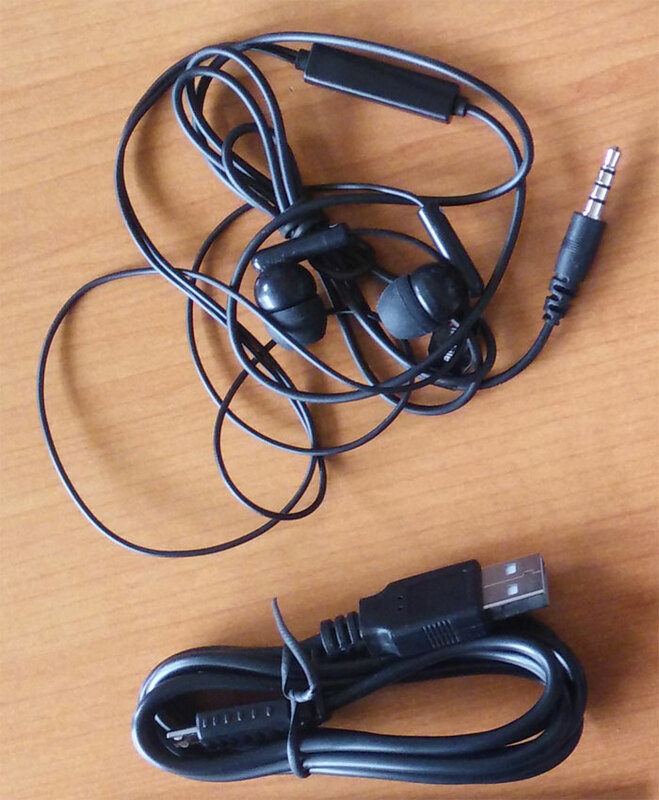 The flash light is present at the literal right side of the camera. The back cover is made of leather material with fine finishing and a quiet good look. 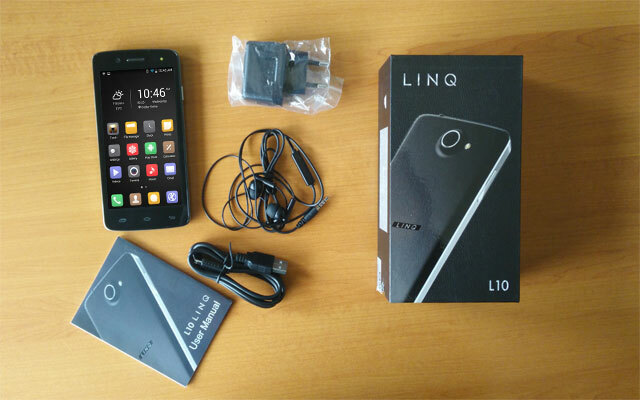 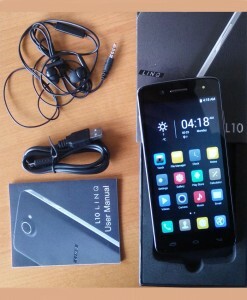 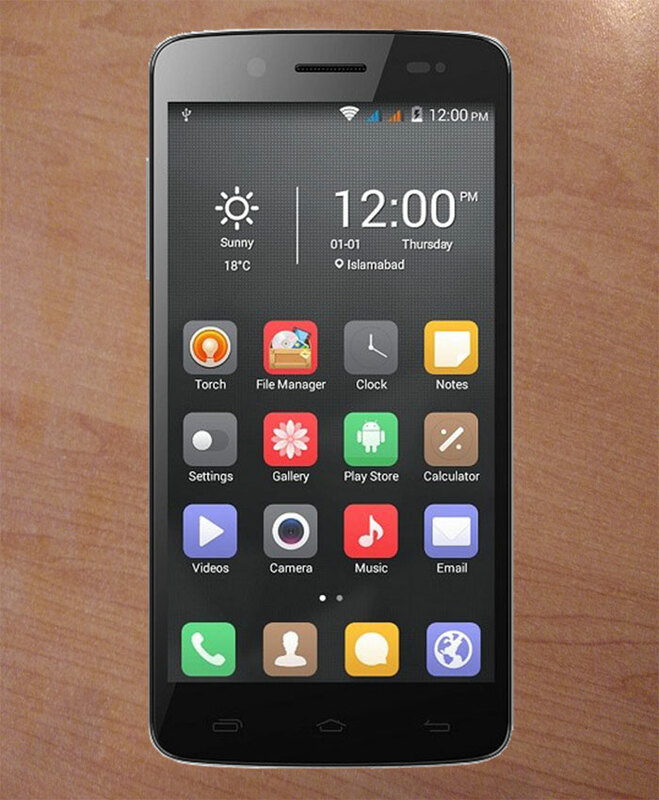 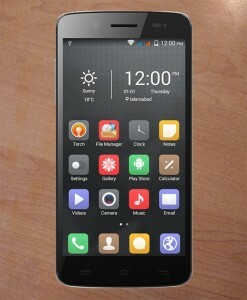 Linq L10 has 1GB of main memory or RAM and 8GB of storage memory that can be extended to 32 GB with a memory stick. Qmobile Linq L10 contains a Quad-core ARMv7 processor with id (VFPv4, NEON) of type 32-bit with 4 cores and the frequency fluctuates in between 300 ~ 1190.4 MHz. 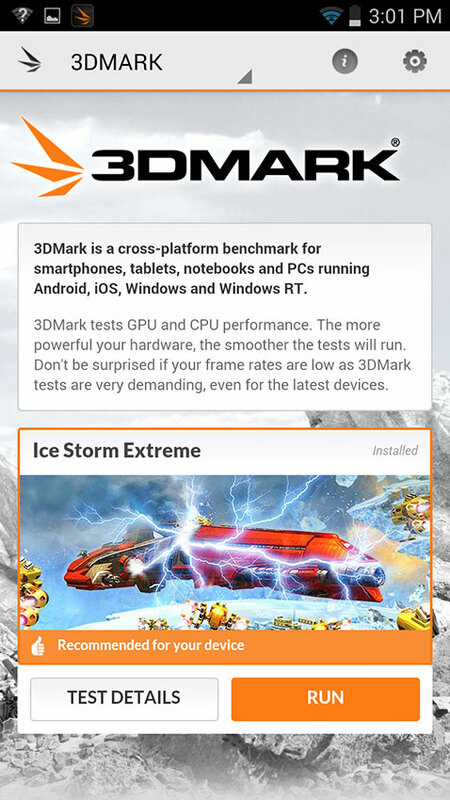 The display chip is of Qualcomm with GPU Version OpenGL ES 3.0 [email protected] [email protected] 04.04.02.113.00 8([email protected]) with 720 x 1280 resolution and 320 dpi. Dual cams, the rear camera is 8MP with 3200×2400 resolutions and the front camera of 2MP with 1600×1200 resolutions. 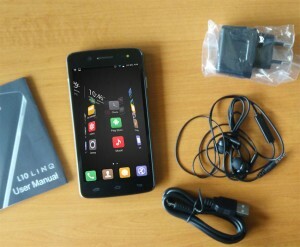 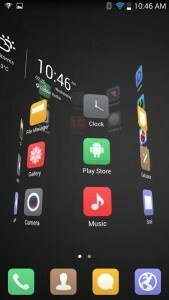 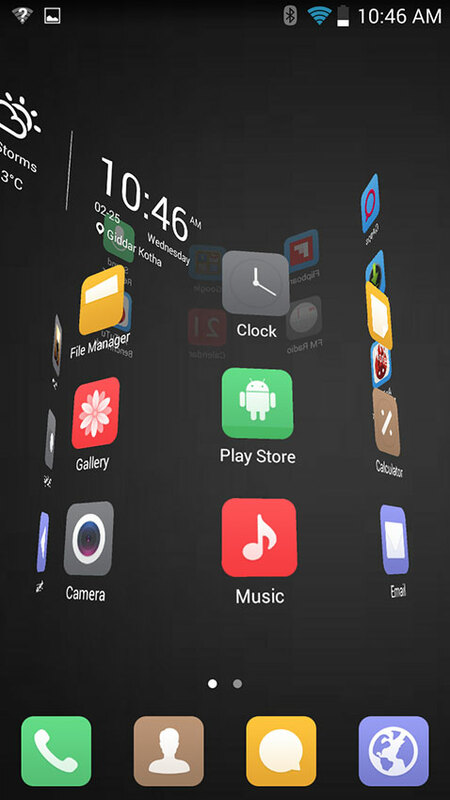 The operating system is Android 4.4.2 with Android SDK Version 19 and Kernal version 3.4.0. 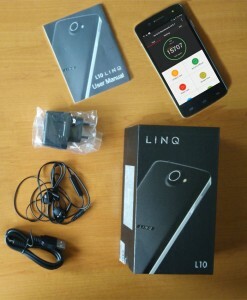 The sensors embedded in Linq L10 are Acceleration sensor, light sensor and proximity sensor. 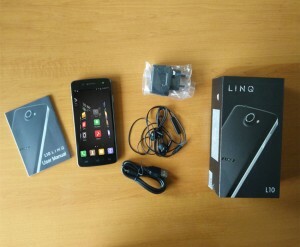 Linq L10 is presented with a 2000 mAh for a long lasting duration time in games, apps, videos and camera recordings. 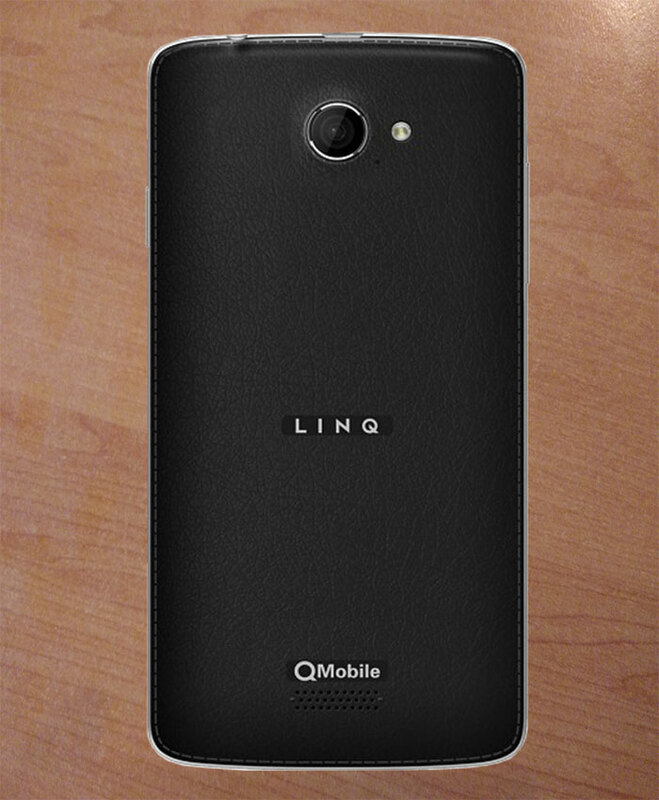 Available in black and white colors, the QMobile Linq L10 has a smart beauty and is further increased with the leather back cover. 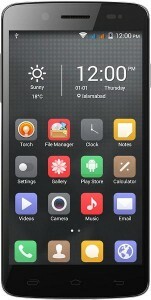 Camera is bulged out, so that it may focus well and capture the snaps with auto-focus activity and with good angle. The package contains hands free, USB to PC connector, charger, warranty card and a manual. 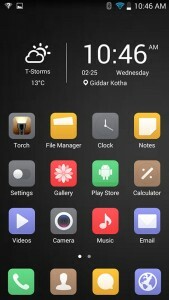 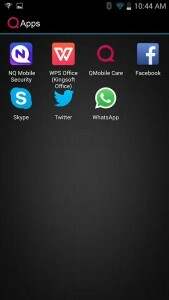 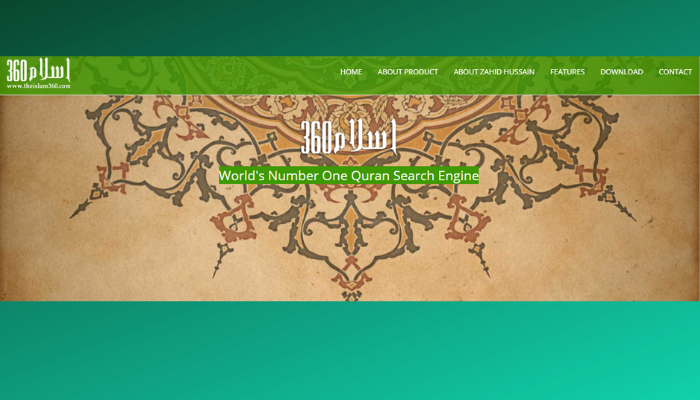 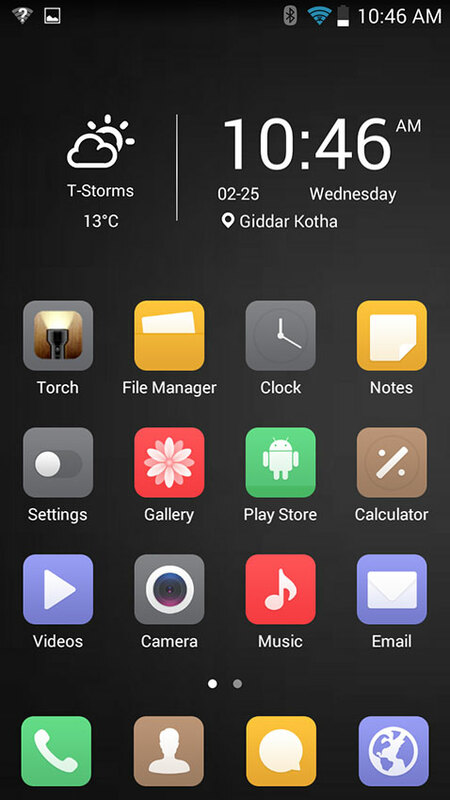 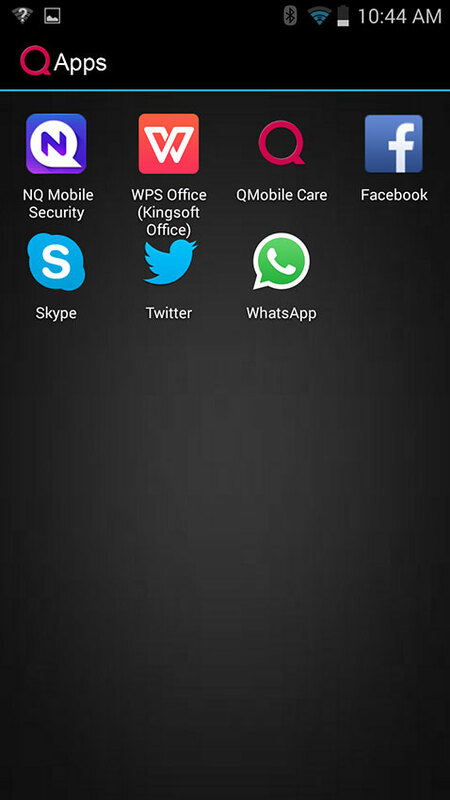 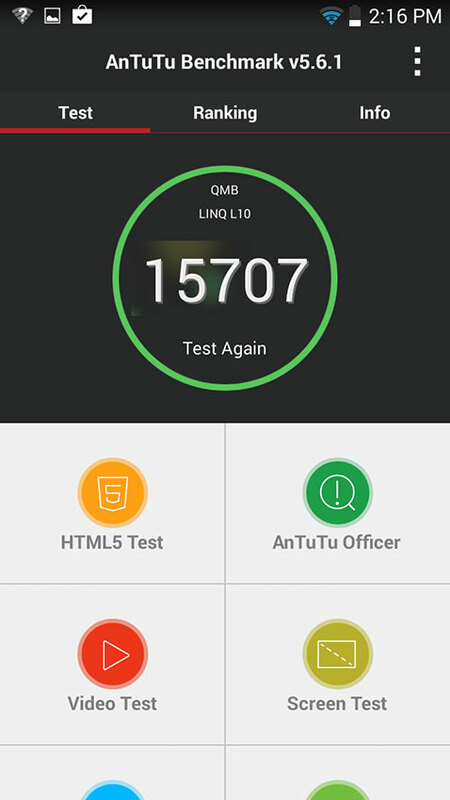 The internal interface of QMobile Linq L10 reviewed that the device has a cool interface with a sensible touch and the layout has been decorated with nice themes. 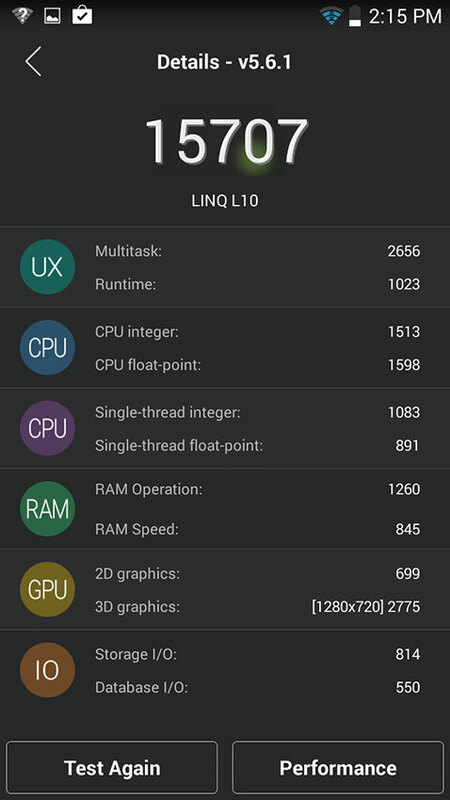 Linq L10 is released with some most frequent used applications like Mobile security, facebook, Qmobile care, WPS Office, Skype, Twitter, WhatsApp. 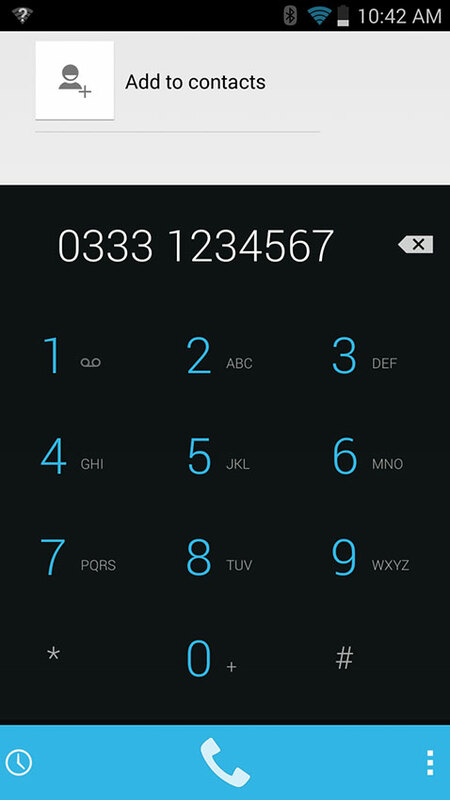 The interface of dial pad that contains the keypad has been used the typical one with light blue theme as most of the QMobiles do have. 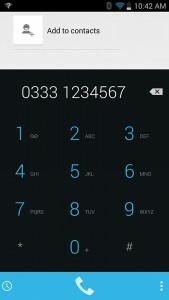 In a similar fashion, the messages layout has been used the typical one with the same suggested key words and with the same keyboard layout. Consult the camera snap for the options and the layout for the camera. 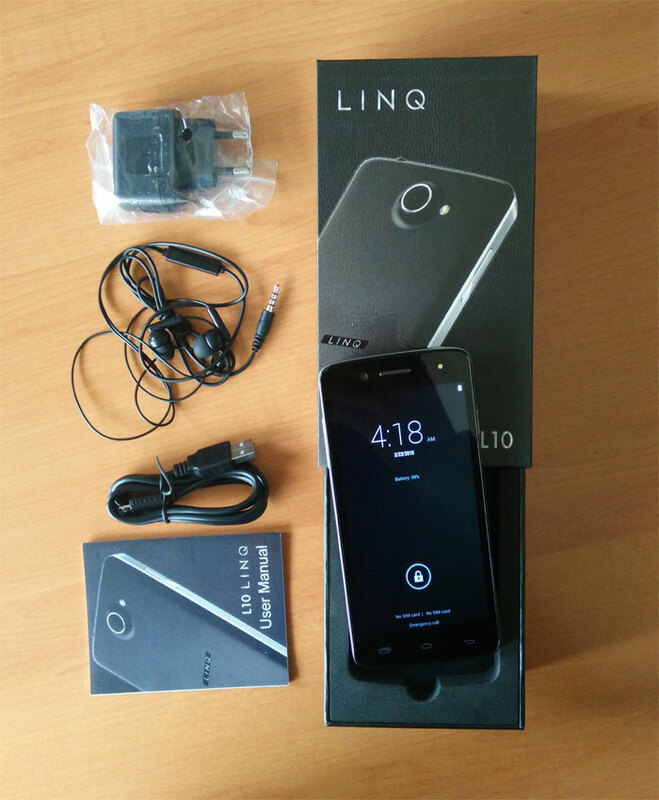 A mobile is better tested, once its been bench marked in the race for the lead, that’s what the QMobile Linq L10 Review has been made for. 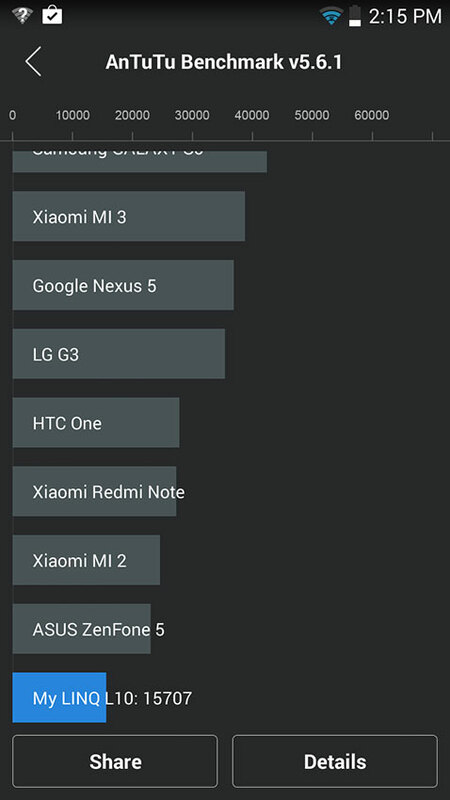 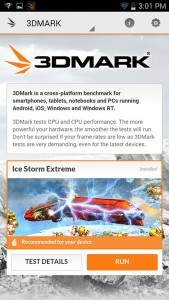 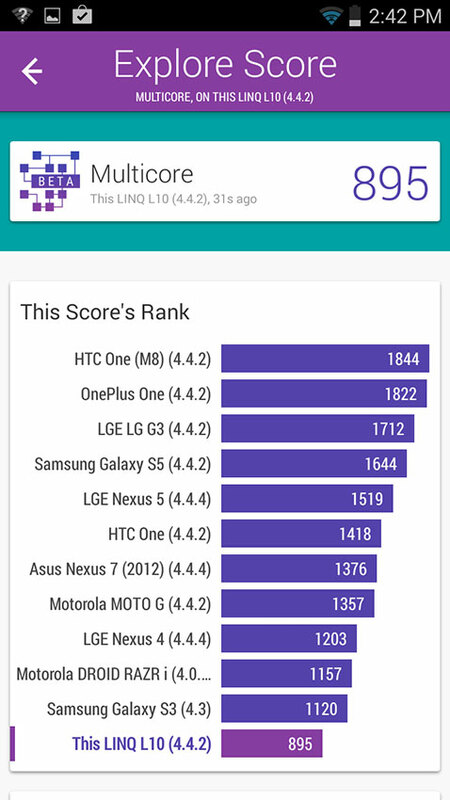 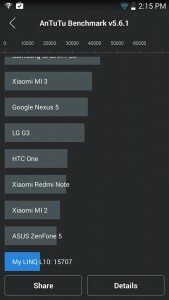 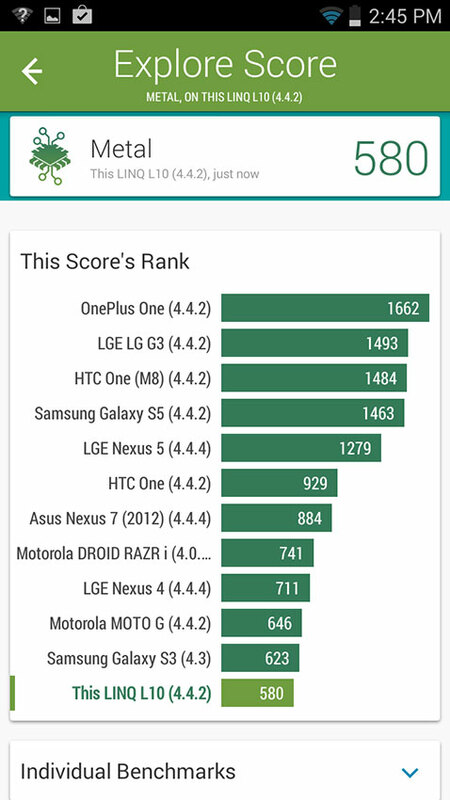 Antutu is a bench marking application that shows the overall performance of an Android device. 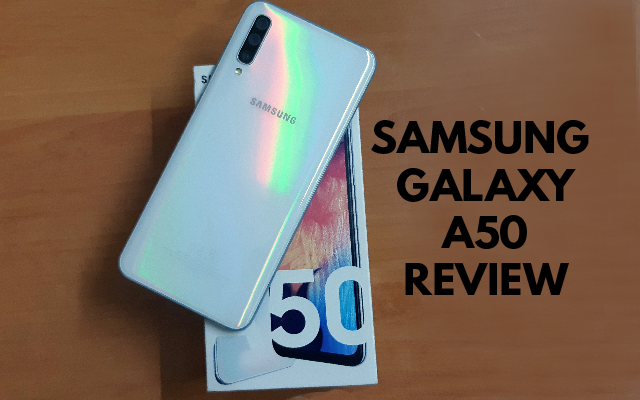 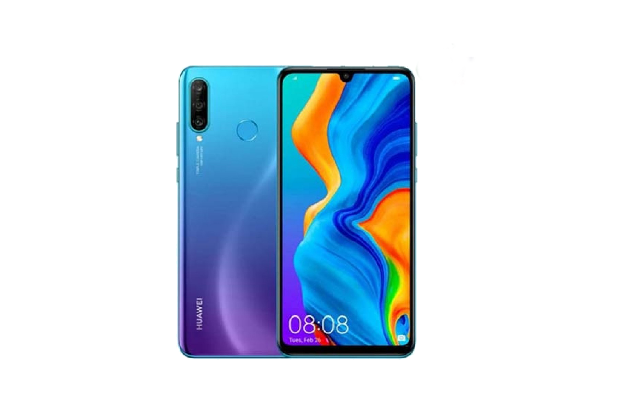 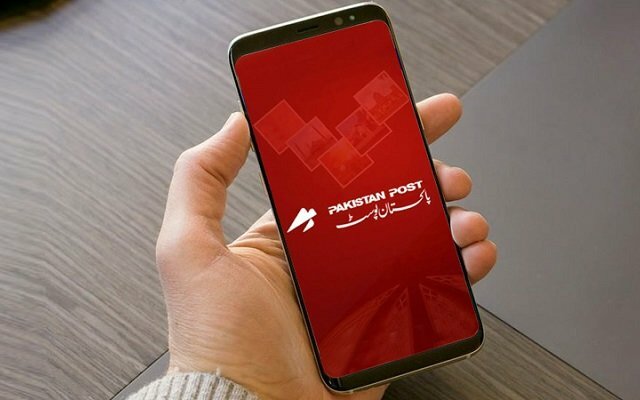 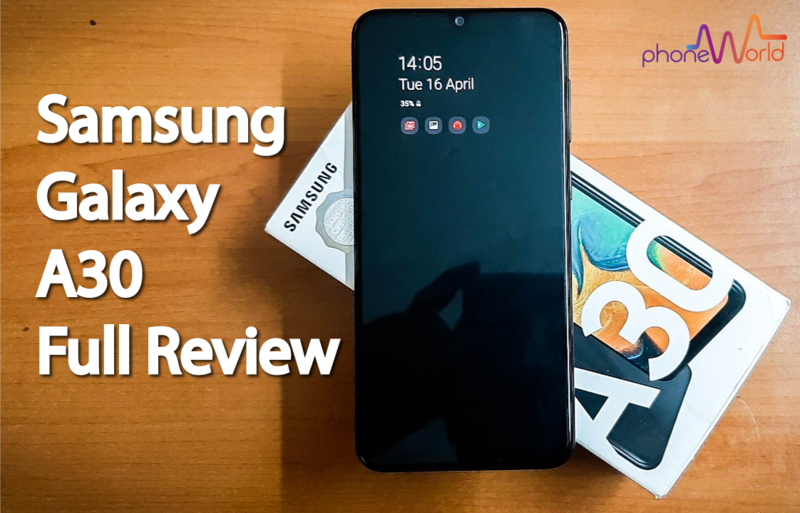 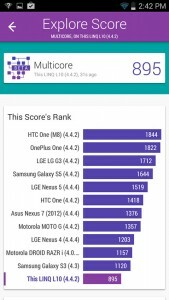 The performance has been satisfactory that is, just crossing the line of 15 thousand while the toppers do have over 45 thousands over the Antutu Benchmark. 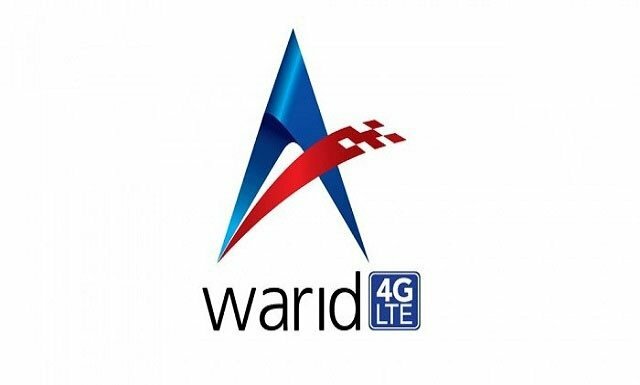 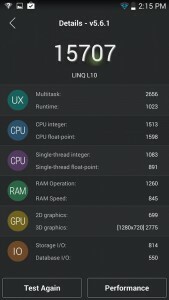 This takes QMobile Linq L10 to the dead level down in the row. 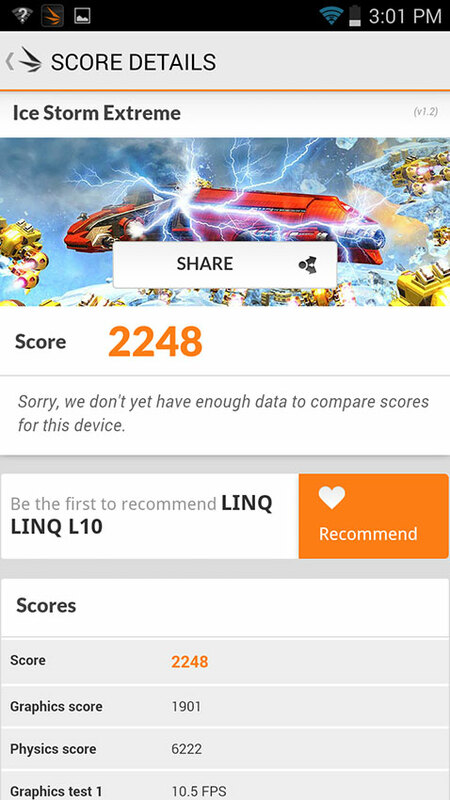 The test also shows that the hardware supports up to five fingers touch consecutively. Vellamo is a Qualcomm testing app that checks the performance of browser, single core and then tests all the cores consecutively. 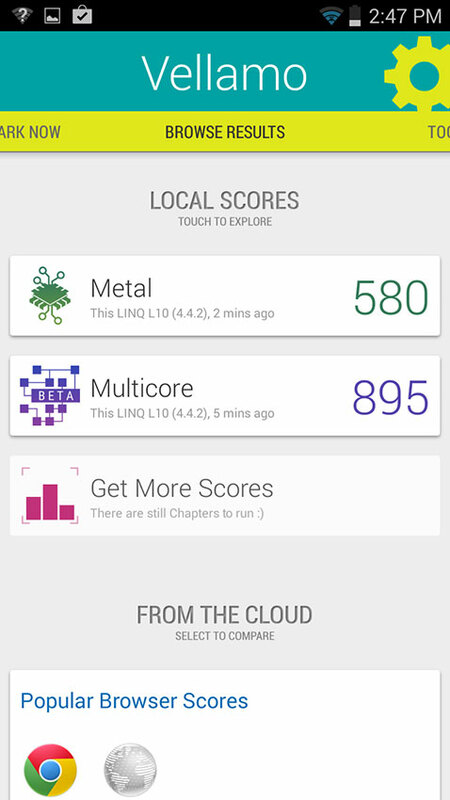 After that, the points are leveled with the board and the position been shown to the end user. 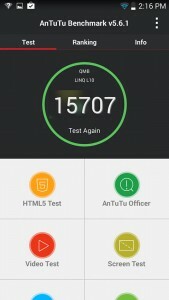 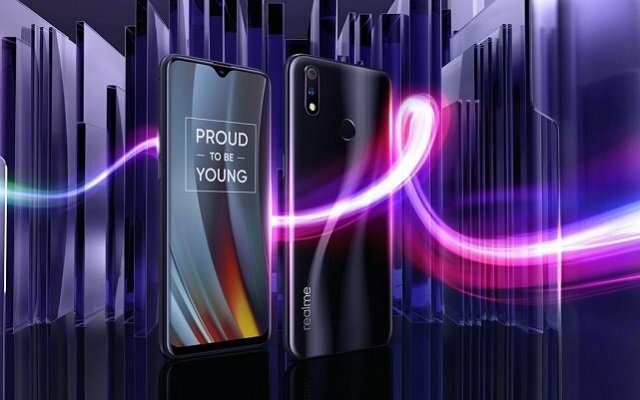 The performance with vellamo is the same as with Antutu, and we can not say that a single entity is weak as the overall performance is satisfactory just as that of Antutu. 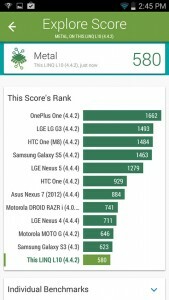 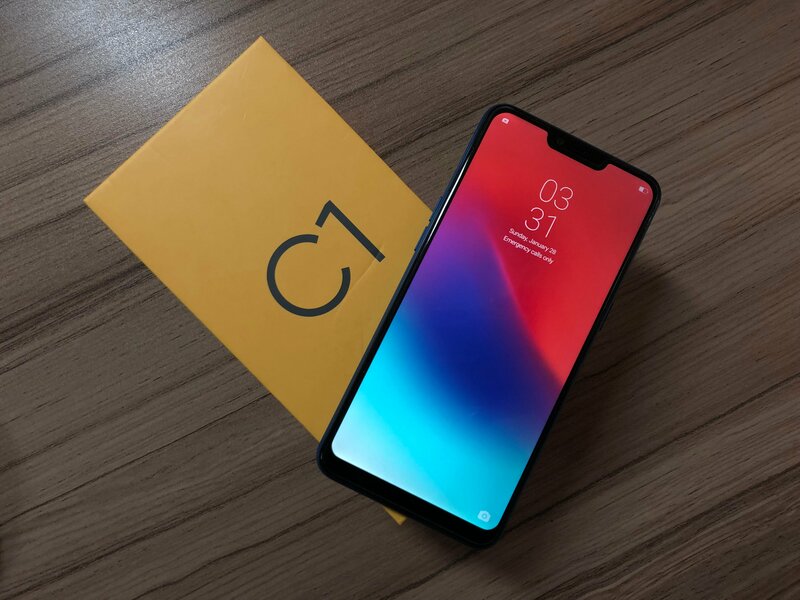 The GPU end performance is better than that of Vellamo and Antutu, which shows that the GPU or the Graphical Processing Unit which is a chip of Qualcomm is efficient than that of the ARM Processor. 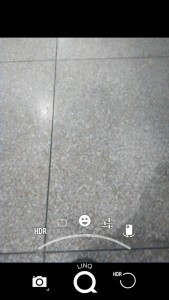 The marks thus obtained are displayed in the snap below. 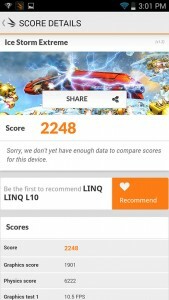 QMobile Linq L10 Review shows the performance of Linq L10 to be satisfactory with its Quad-core processor, although the points it took with 3D Mark for its graphics show that the GPU chip is working its level best as many a smartphones take about 2000 or a approximately up to that but QMobile Linq L10 behaves a bit different and shows that the GPU being used is smarter and puts greater graphics over the screen.